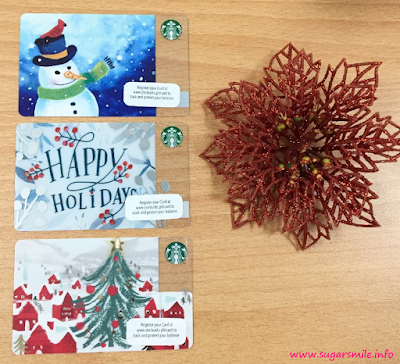 Last November 2, they launched three cards that are perfect for the holidays - the Snowman, Holiday Tree Card and the Happy Holidays Card. I was so excited because they were offered for the first time in the Philippines. They are very handy during the holidays since I can give them out during exchange gifts and for friends who love coffee. 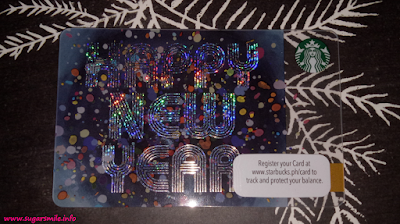 And if they register at the Starbucks Rewards Program, they get to earn stars, which can be exchanged for free drinks and other perks too. Isn't that a joy to give? "The Red Cups are Coming!" That's what we always say whenever the Christmas flavors of Starbucks come to town. 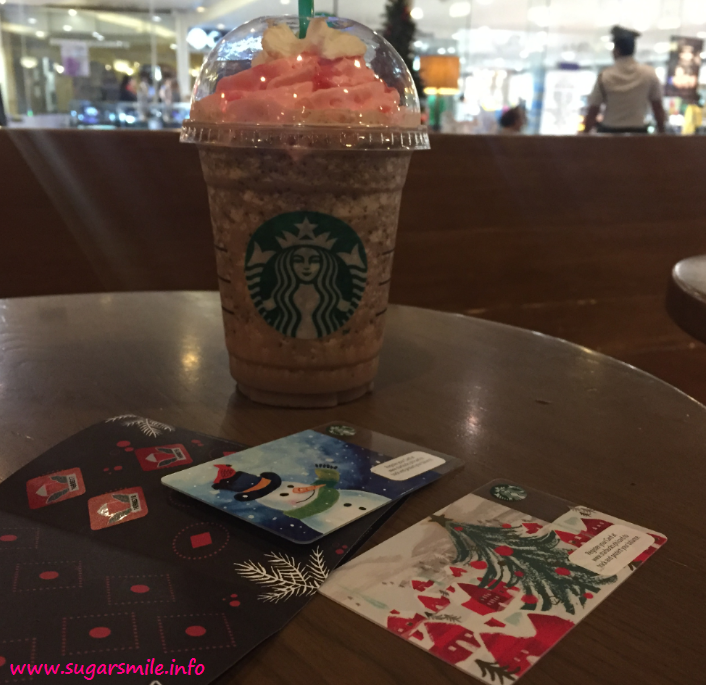 This year, they have the Santa Hat Dark Mocha, Toffee Nut Latte and the Peppermint Mocha flavors. But since they only come during the holidays, you have the 2016 Red Cup Card all.year.round. And even until some years to come. This cute card comes with a Kraft sleeve carrier, mimicking an authentic cafe Red Cup and available for an initial consumable load amount of ₱1,000 per card. 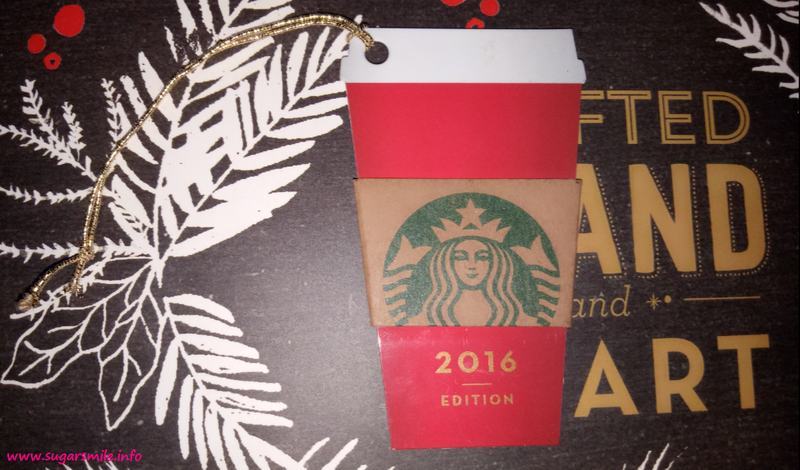 My Starbucks Christmas story is one of the best I had for years. Can you imagine a time when you want to get something, but you feel like the world wouldn't let you get it, but you did in the end? That's what happened to me last December 5. I was talking to my friends before December 5 and we had different strategies on how we could get this Limited Edition Holiday Card with Metal Wrap. As I checked on the Starbucks website, there are only two stores that are somehow near to my workplace - Capitol Commons and Robinson's Galleria. I wasn't able to go to Capitol Commons because then I have to be there earlier, so I decided to go to Galleria instead. When I asked for the card, 50 cards have all been sold out. 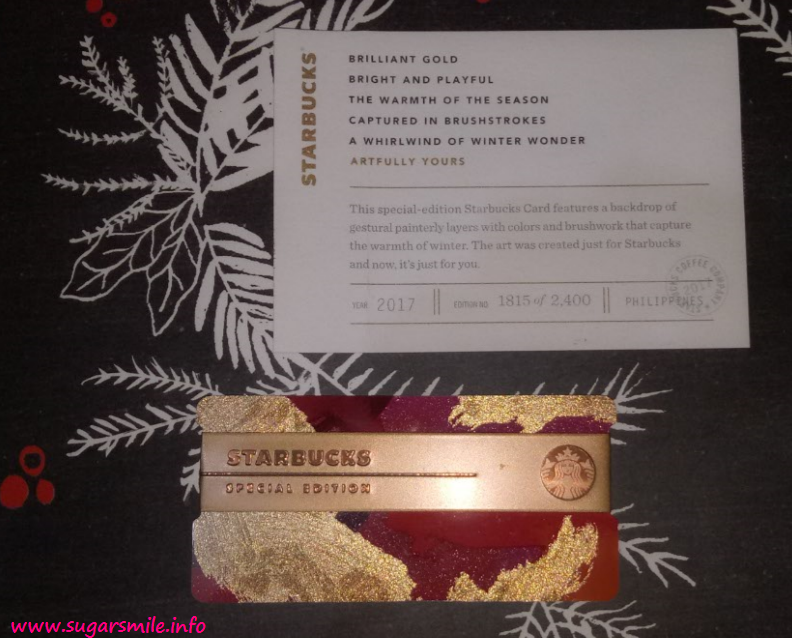 So there I was, feeling very bad because it would be like the creme of the crop of all Starbucks cards, if I happen to get one. 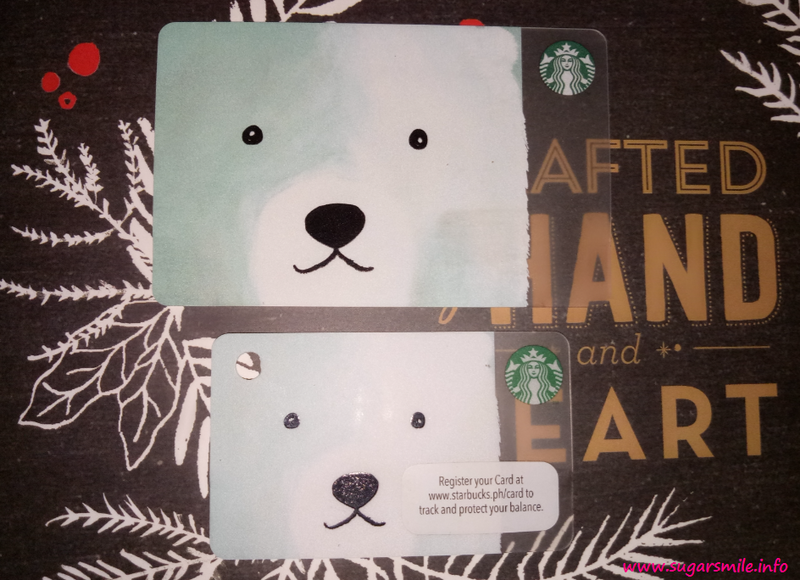 And so I decided to buy the Polar Bear cards instead (with Php500 denomination for each card). That day, the Holiday Squirrel set was also launched. 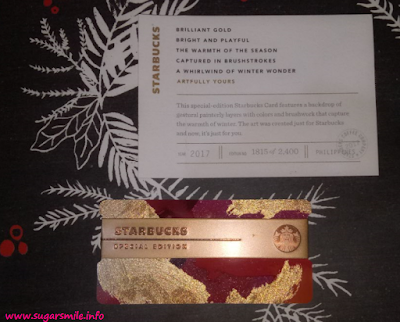 When I finally checked my emails, someone from Starbucks emailed me, and told me that during the Starbucks Cheer Party, I got the second most number of posts and I won - yep - the Limited Edition Holiday Card with metal wrap. I was so ecstatic, I cried. It felt like Santa just gave me my early Christmas gift. I can feel that 2017 will bring more luck, joy and love. And so to celebrate, why not buy the Happy New Year card that will be out this December 26? It looks fun, retro and it says a joyful message that's perfect for the season.